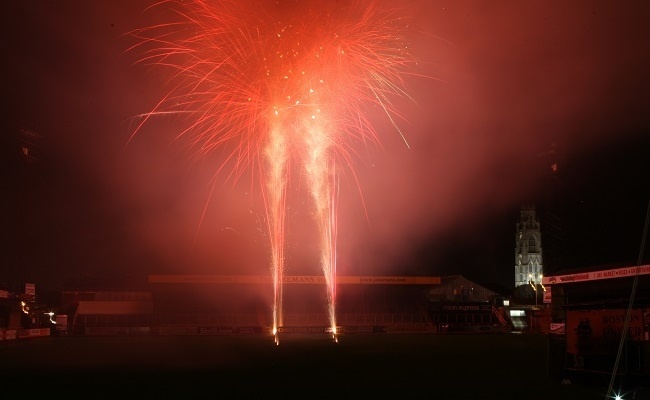 The Pilgrims' annual fireworks spectacular will take place at The Jakemans Stadium on Friday November 2. The event is partnered by Lincs FM and sponsored by Ambitions Personnel. Pre-display entertainment will be provided by local band Drive Like Jack and the United Cheer Team. Associate sponsorship has been kindly provided by Jakemans Confectioners, Lincolnshire Co-operative and Workforce Unlimited.